Compose :: Melbourne 2018 Call for Presentations Launch Party! Compose :: Melbourne is Running again in 2018! Most importantly do you like beer (or other beverage)? 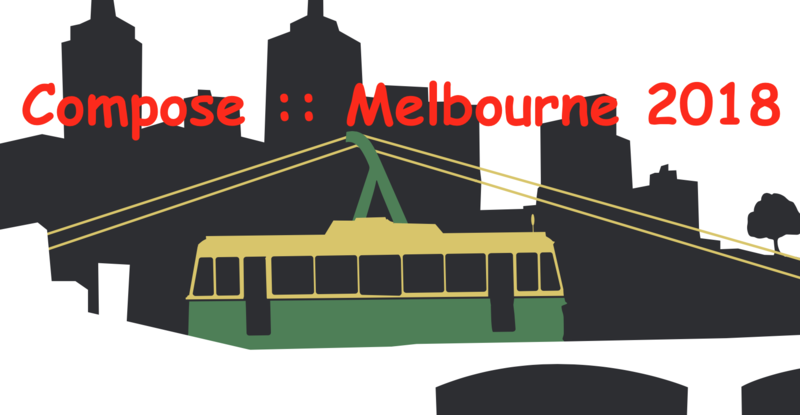 Compose Melbourne is a Functional Programming Conference holding it’s THIRD!!! event in August 2018 in the Melbourne CBD. We’re launching our Call For Presentations at Loop Bar in the City on Friday 11th of May and you are very welcome to come along and meet some of our potential presenters and attendees. We’ll be launching the Call for Presentations at this event along with more Compose :: Melbourne conference details!!!!!! Via eventbrite.com: Read more here!